I an I was given someone else’s history? That had nothing to do with my-story? Jamaica is without doubt the foremost nation in the world for reggae! However the cultural, political and social climate tends to shape the musical offerings of this glorious nation. Kokumo is a citizen and artisan from Jamaica whose debut album Writing’s On The Wall may well be the finest recording in the dub poetry vain for many a decade. Kokumo’s delivery will obviously draw comparisons to Mutabaruka but there is an originality of style that will appeal to audiences worldwide. Described as not just an artist but also a cultural anthropologist and dub-griot, Kokumo uses his skills as a singer/songwriter and a dub-poet to capture his audience, whilst taking them on a cultural, spiritual and political journey. Hailed from the parish better known as the cockpit country in rural Jamaica, seems to have contributed to the powerful voice that allows his words to take flight. With a name meaning, “this one will not die” in Yoruba, is synonymous with the notion that his work will be around forever. His work is rooted in the consciousness of Rasta and the cultural experiences of black people worldwide. 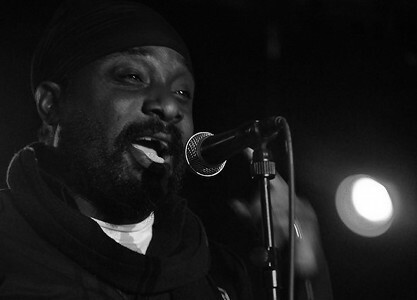 This consciousness was triggered from an early age which he credited to being around his Rastafarian cousins but didn’t manifest until a later stage in life when he began to write songs and poetry. Kokumo’s multidisciplinary skills as a performer have landed him roles in plays at the Royal Shakespeare Company and his own sold out production, GENESIS 9:25 @ The Birmingham Rep. Theatre, 2010. He also appeared at The Tate Britain, The Poetry Café London, BBC Radio 4, B-Spoken Word, BBC WM, Robert Beckford Show and the colourful face introducing Benjamin Zephaniah at Griotology held at The Drum, for his T.V. documentary, This OBE Is Not For Me. Kokumo has being commissioned to write and perform for organizations such as Oxfam International Birmingham, Arts Council England, West Midlands and BBC WM to mark the 200th Anniversary of the abolition of the Slave Trade in The British Parliament. Other highlights include his appearance at Calabash Festival, Glastonbury Festival and being included in the “RED” anthology published by Peepal Tree Press 2010. His written works has also being published in numerous magazines and online journals, most recent appeared in dialogue – a magazine for cultural literacy, No. 2/Vol. 3, (http://www.lulu.com/roikwabena), edited by the late Dr. Roi Kwabena.